Guangzhou CaiMing Tent Manufacturing Co., Ltd. is The first set of design, production, processing and sales as one of the major suppliers.Aluminium-PVC clear span structure tent manufacturer and rental company in China.CaiMing Tent has been devoting itself to the design,manufacture,sales and rental of high-quality Aluminum clear span structure tent systems.CaiMing consistently perform as the top exporting of tents to about 120 countries among China. With the large scale production and advanced CNC machining,CaiMing Tent is able to provide manufacture and rental of tents from 3m to 80m width in various designs and shapes,including A shape tents,high peak tents,dome tents,curved tents,polygonal tents and multi-sides tents etc. All CaiMing tents system are strictly designed and manufactured according with ISO 9001:2008 Quality Control Standards and the European safety standard. 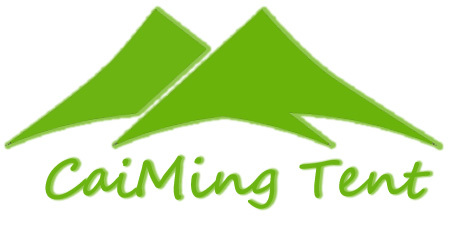 After many years of development,with its high-quality,product safety,as well as efficiency,flexible and diversified services,CaiMing Tent had won great reputations from customers all over the world.